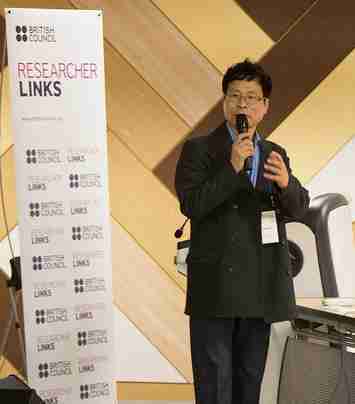 Academic co-organiser Dr Jinhae Park addresses delegates at the British Council Researcher Links Workshop on Soft Matter. The stated aim of the British Council’s Researcher Links Workshops programme is to “bring together early-career researchers from UK and one of 18 partner countries to allow them to make international collaborations that improve the quality of their research”. In this context, early-career researchers are defined loosely as those who have been awarded a PhD within the last ten years. The subject of this particular workshop was Soft Matter: Analysis, Applications, and Challenges, and naturally included many working in the field of liquid crystals. 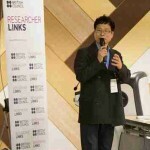 The academic organisers were Dr Apala Majumdar (University of Bath, UK) and Dr Jinhae Park (Chungnam National University, South Korea), and the event was held at the National Institute for Mathematical Sciences in the city of Daejeon. The programme included 23 oral presentations by early-career researchers from the UK and South Korea, seven plenary talks from senior researchers, an intercultural session run by British Council, and a focused discussion on funding opportunities and future collaborations. The delegates also enjoyed a lively social programme, including a welcome dinner hosted by the British council in Seoul and a banquet hosted by the local organisers in Daejeon. With the British Council generously providing funding for travel and accommodation, the event represented an excellent opportunity for young researchers from the UK and South Korea to share their research and forge new international collaborations, in line with the programme’s aims. 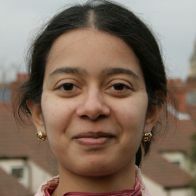 From the perspective of the BLCS, it is perhaps particularly gratifying to see that Dr Apala Majumdar—who herself was a winner of the BLCS Young Scientist Award in 2012 and is currently a Reader at the University of Bath—is now involved with generating opportunities for young liquid crystal scientists in the UK and is providing leadership in the wider soft-matter community at an international level. About the author: Dr Flynn Castles is a Research Fellow in the Department of Materials at the University of Oxford. Email: flynn.castles…at…materials.ox.ac.uk. 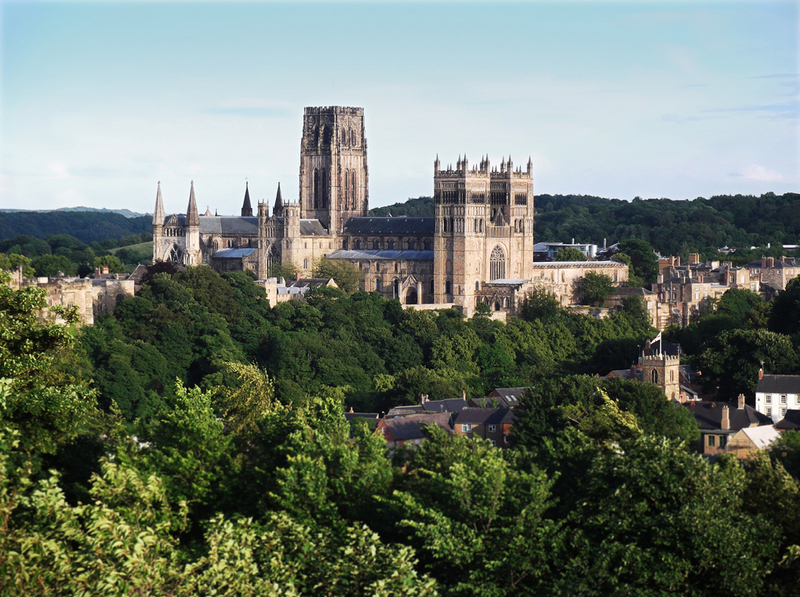 The Annual Meeting of the British Liquid Crystal Society was held on 14-16th April 2014 in Collingwood College at Durham University. 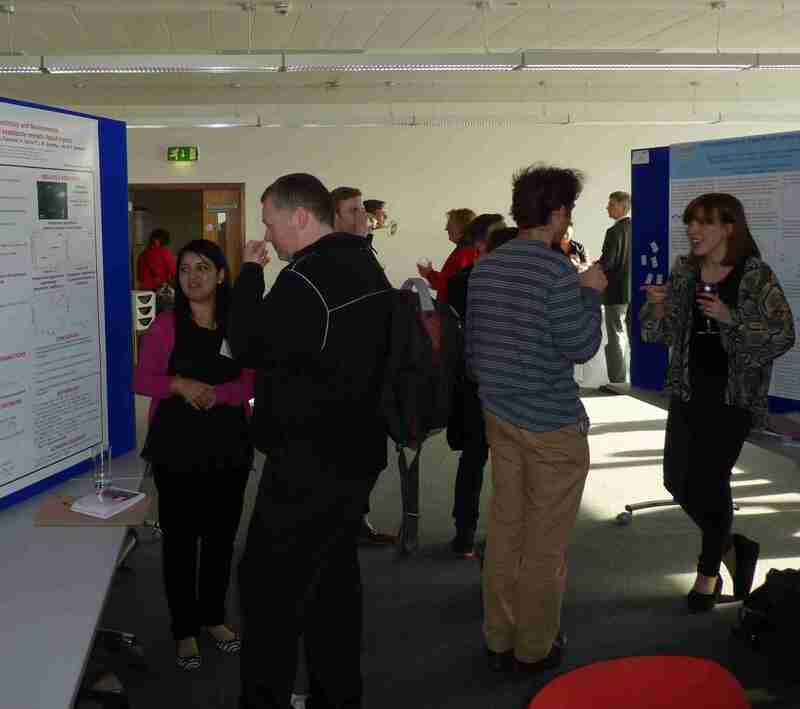 The event provided an opportunity to bring together researchers in all areas of Liquid Crystal research – from synthesis to simulations. Academics were present from a variety of departments (Chemistry, Material Science, Physics, Engineering and Mathematics) highlighting the interdisciplinary nature of the field from both national and international institutions. 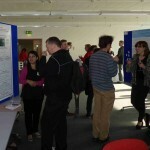 As well as providing a venue for the dissemination of the latest research there were plenty of opportunities to foster new collaborations and nurture old relationships – whether that was at poster sessions, over a pint in the bar on Tuesday evening or over closely contested rounds of pool or table tennis in Collingwood College. 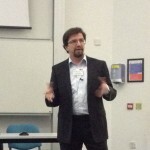 There were 28 talks and 34 posters presented over the three days – including the outstanding Sturgeon Lecture given by Oleg Lavrentovich (Kent State) on lyotropic chromonic liquid crystals. Other invited talks – which were all also very engaging – were given by Randall Kamien (University of Pennsylvania), Dave Walba (University of Colorado), Andrew Masters (University of Manchester) and Igor Musevic (University of Llubljana). The AGM (chaired by Ingo Dierking, University of Manchester) was held on Monday 14th and saw the election of Andrew Masters (Univeristy of Manchester) to the position of Vice-chairman and Chair-elect, Tim Wilkinson (University of Cambridge) and Mike Hird (University of Hull) to the position of Ordinary Members of the Committee, John Goodby (University of York) to the position of an Industry Member of the Committee based on his involvement with Kingston Chemicals, and Simon Wood (University of Oxford) as a Student Member. The conference dinner was held in Collingwood College dining hall where portraits of notable members stared down posters from musicals past and present. The meal was excellent – as was Tim Wilkinson’s (University of Cambridge) gracious acceptance of the Hilsum Medal. The Gray medal was awarded to Mark Warner (University of Cambridge) who unfortunately couldn’t attend – though an acceptance was read out on his behalf. Finally, the Young Scientist award was presented to Gareth Alexander (University of Warwick). The final day was begun with a series of four talks on synthetic chemistry by students from the University of Hull, a refreshing wake-up for those who had spent far too long in the bar discussing their research on the previous night. John Goodby (University of York) followed this up with a talk on ‘What makes a liquid crystal’ which also served as an excellent tribute to George Gray who passed away in May last year. 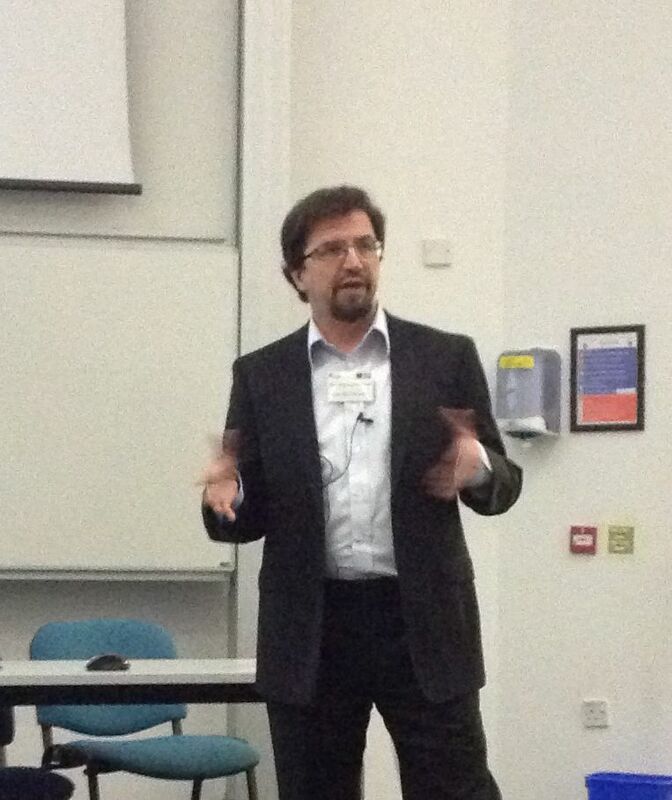 An exciting closing talk was given by John Lydon (University of Leeds) on cellulose esters and their mesogenic properties which closed proceedings with a (literal) bang. The poster prize was won by Calum Williams (University of Cambridge, ‘Tunable multifunctional nanostructured holograms using liquid crystals’), and the best oral prize went to Rachel Hyman (University of Cambridge, ‘Polarisation independent phase-modulation of light using polymer-stabilised blue phase liquid crystals’) and with that, the 28th Annual British Liquid Crystal Society Conference came to an end – and I’m sure that all who attended will agree that it was a great success – both in terms of the quality of research on show, and for the excellent environment it provided for fostering interactions between researchers from different universities and in different departments. 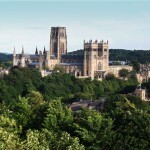 Huge thanks must go to Mark Wilson and the others at Durham who made the event possible. About the author: Simon Wood is a PhD student in the Department of Engineering Science at the University of Oxford. Email: simon.wood…at…eng.ox.ac.uk.